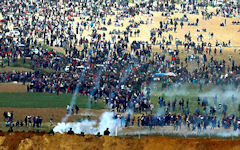 Tensions have worsened between Israel and the Palestinians in the aftermath of the US Embassy move to Jerusalem and the deaths of over 100 Palestinians by Israeli fire during mass protests along the Gaza border. 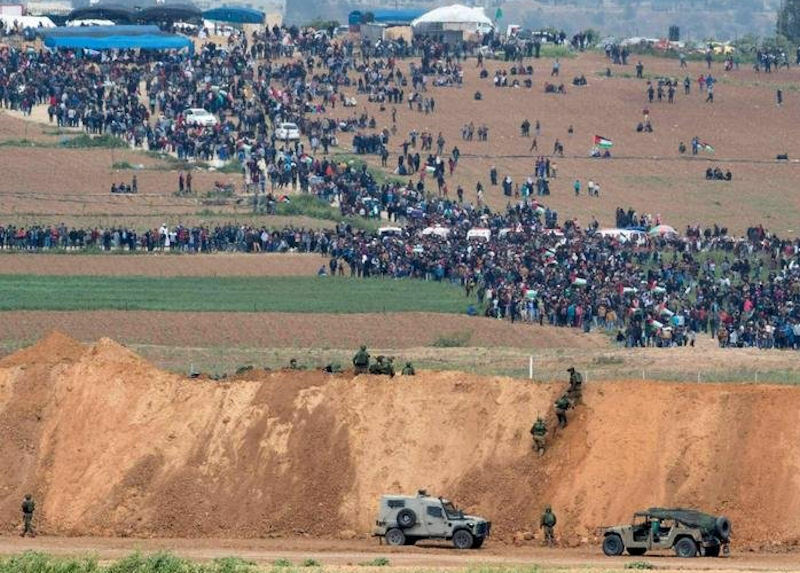 Palestinians in the Hamas-controlled Gaza Strip have been holding weekly protests since March 30 demanding the right to return to their former lands in Israel and an end to the blockade of the Gaza Strip. 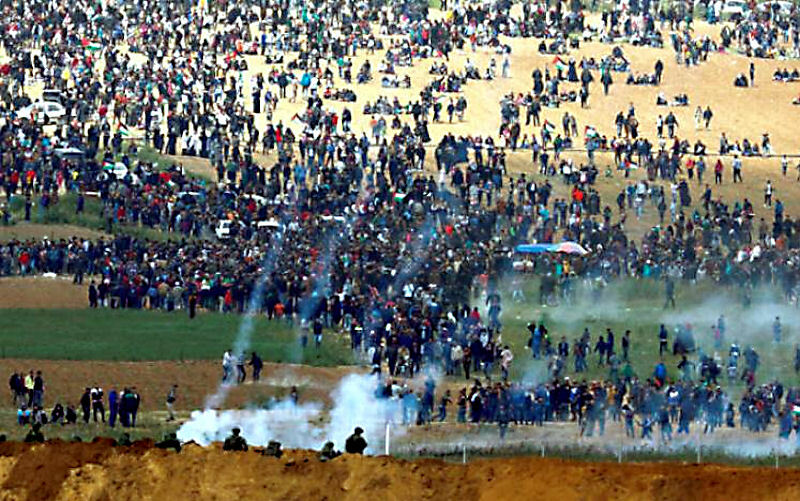 Israeli soldiers fired tear gas, rubber bullets and live ammunition at protesters in what the army said were "standard operating procedures" to prevent a breach of the fence. The United States blamed Hamas for the violence. "The responsibility for these tragic deaths rests squarely with Hamas," White House spokesperson Raj Shah said. UN Human Rights chief Zeid Ra'ad Al Hussein said that "those responsible for outrageous human rights violations must be held to account." Muslim and Arab countries broadly condemned Israeli violence and criticized the US for moving its embassy to Jerusalem. Some of the strongest words came from Turkish President Recep Tayyip Erdogan, who accused Israel of "genocide" and "terror." Turkey also recalled its ambassador from Washington and Israel. Since 2007 Israel has enforced a strict blockade of Gaza, seriously impeding persons and goods from entering or leaving. On June 14, 2007, Israel banned the export of all goods from the Gaza Strip and the importation of anything except what the Israeli government labelled as "humanitarian" into Gaza. The blockade resulted in the closure of most of the manufacturing industry, which was deprived of materials and export markets, and led to a surge in unemployment which currently stands at 40%. The Israeli blockade around Gaza, on land and along the coast, was established so that contraband weapons and equipment used for rockets to shell Israel will not enter Gaza. While food stuffs entered Gaza, the shipments are tightly controlled and items such as tomato paste and pasta are sometimes restricted by the Israelis. Following hostilities in Gaza in January 2009, Israel severely tightened restrictions at crossings into the Gaza Strip. International and Israeli human rights organizations described this action as "collective punishment" of the residents of Gaza, as it restricts access to basic goods and restricts civilians desiring to go abroad temporarily or change their place of residence permanently. Following its December 2008-January 2009 combat operations in the Gaza Strip, Israel enforced a near-total blockade on the entrance of reconstruction materials to repair damaged homes, schools, and civilian infrastructure. Infrastructure damage amounted to about US$2 billion and would take 3 to 5 years to repair, according to the Palestinian Central Bureau of Statistics. The UN Development Programme is prepared a plan for Gaza reconstruction. Many nations had pledged support, including Saudi Arabia, which had offered US$1 billion toward rebuilding infrastructure, including health facilities. One challenge is figuring out how to get those building supplies into Gaza. Israel has a long-standing ban on goods entering Gaza that could be used to make bombs - namely pipes and fertilizer. "We're looking to work with the international community to identify the needs on a project-by-project basis so that we know where each piece of piping is going so they can't be taken advantage of to rebuild bunkers and rockets," says Peter Lerner, spokesperson for the Israeli Defense Forces. "In the past, we were limiting movement of pipes into Gaza because even after being put into the ground they were dug up and used for rockets." Palestinians cannot rebuild their homes, their schools, or their hospitals because they cannot import the cement needed to complete the projects. They cannot build sewage systems and prevent 55 million metric meters of sewage flow into the Mediterranean because the Israelis limit the amount of construction materials into Gaza. A limited supply of fuel and spare parts to fix and maintain the electrical system were allowed into Gaza, including industrial diesel for Gaza's only power plant and cooking gas. By November 2009 only one-third of needed cooking fuel was entering Gaza. The sewage and water systems were also frequently inoperable due to lack of spare parts and fuel, and ensuing power outages. The IDF prevented demining teams from bringing in explosives to destroy unexploded ordnance into Gaza. In the last quarter of the year, the IDF allowed more materials into Gaza. For example, in late December 2009 the IDF announced that 100 truckloads of window glass would be permitted entry to Gaza for the commercial market. The IDF also allowed cement to be brought in. The recovery from the war, however, continued to be hampered by the stiff blockade of Gaza that only permits the importation of goods that the Government of Israel judges to be unconditionally humanitarian. As a result, more than one year later, three-quarters of the damage remains unrepaired and unreconstructed, including homes, schools, and hospitals. On 19 February 2010 US Congressman Brian Baird called for the United States to break the Gaza blockade, provide immediate humanitarian aid, and urged Special Envoy Mitchell to visit Gaza. In the past year he had been to Gaza three times and was the first US Government official to visit Gaza after the Israeli Cast Lead operation. "The blockade should be circumvented by the United States; much like we did when we circumvented the Berlin Blockade. We would accomplish this using roll-on/off ships supplying the needed material for Palestinians to rebuild their society." On 15 June 2016 a senior Defense Ministry official said that Israel has “no desire to rule over Gaza, and as long as there is no alternative government there, we have no business being there...but on the other hand, we cannot conduct a constant war of attrition.” He added “Therefore the next conflict has to be the last conflict in terms of Hamas ruling the Strip. We are not looking for an adventure, but a confrontation with Hamas is inevitable. It is an ongoing and growing threat and we need to be prepared for it”. 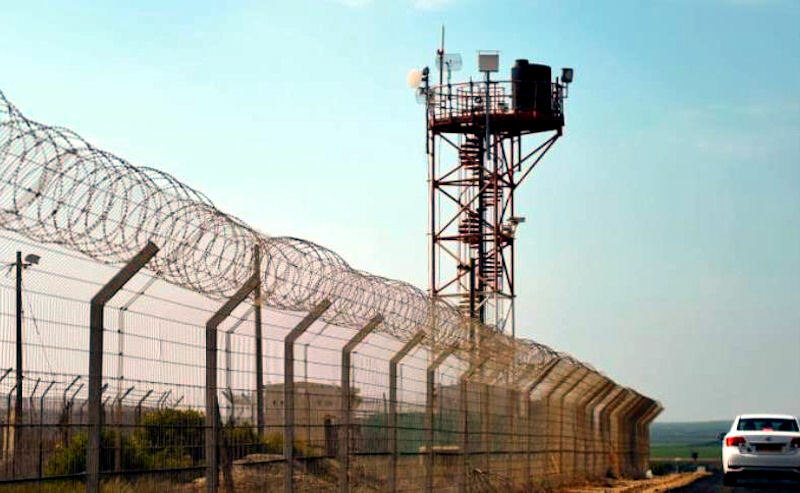 A 51 km [32-mile] barrier of wire and barbed wire separates the Gaza Strip from Israel. It was built in 1993 and upgraded in 1999, with roads on both sides patrolled by Israeli troops. Israel declared parts of Gaza off-limits to the people who live there. Israel established buffer zones — Access Restricted Areas — to keep Palestinians away from the fence that separates Gaza from Israel. According to the United Nations, this restricted area has ranged over the past decade from 100 to 500 meters, comprising as much as one-third of Gaza’s arable land. People who enter these zones can — and over the years have been — shot. A tunnel system developed in South Gaza to circumvents the Israeli blockade. Gazans succeeded in achieving a modest recovery from the destruction they were left to face in 2009. This modest recovery was supported by international actors, but was also made possible by the extensive entry of goods from Egypt via cross-border tunnels. 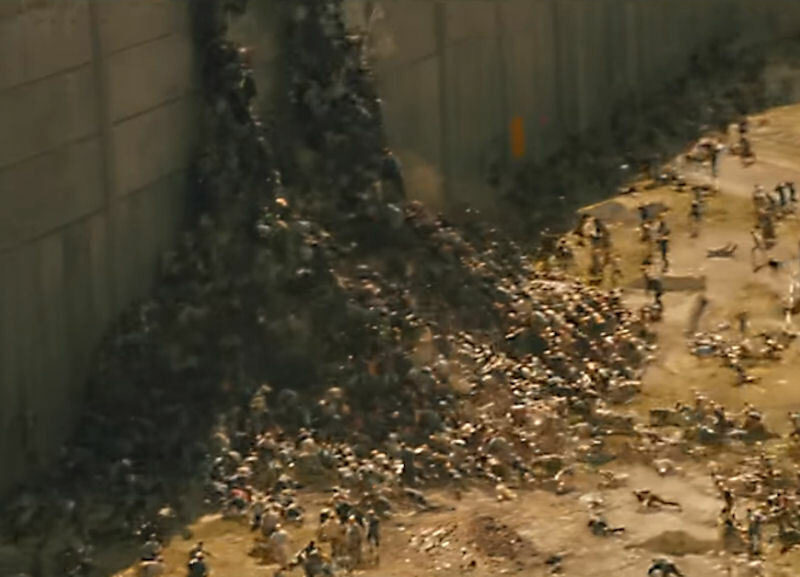 Many people have reportedly been killed while building or working in the tunnels. Yet the demand for goods and the need for people to make a living are so great that this commercial activity continues, a fact commonly acknowledged.This created a new power base based on criminal activity and not the rule of law. The HAMAS has reaped the benefits and is becoming more powerful. Cairo mobilized against the tunnels after jihadi militants killed 16 of its soldiers in the Egyptian Sinai desert in 2012. On February 26, 2013 a Cairo court ruled the government must destroy all tunnels between Egypt and the Gaza Strip. In March 2013 Egypt began a campaign against the smuggling tunnels between the volatile Sinai desert and the Gaza Strip. The Egyptian move soon led to a steep hike in petrol and cement prices in the Palestinian territory. The effort included flooding of underground passages. Egypt's military, struggling to fill a security vacuum in the Sinai since Hosni Mubarak was swept from power in early 2011, pledged to shut all tunnels under the Gaza border, saying they are used by militants to smuggle activists and weapons. This dashed the hopes of some Palestinians that Morsi, a member of the Muslim Brotherhood from which Hamas was born, would significantly ease Egyptian border restrictions on Gaza. In July 2013, a few weeks of digging, dynamiting and drenching destroyed many of the remaining smuggling tunnels that ran under the Egypt-Gaza border. But longer, deeper and well-hidden tunnels could eventually circumvent the tunnel closures. The first 60km (37 mile) barrier was constructed in 1994, following the Oslo Accords. The second was built following Israel's decision to disengage from Gaza in 2005. However, neither system proved successful in combating the threat of attack tunnels. A senior Israel Defense Force officer said 17 July 2015 that the army was planning to build a much larger fence on the Gaza-Israel border. 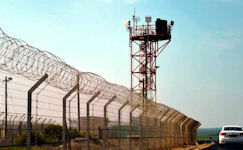 According to the IDF Southern Command’s plans, an additional fence will be constructed on the Israeli side of the border, which would in effect create an additional security zone in which any movement will be monitored by remote IDF surveillance. The area between the two fences would be patrolled by unmanned vehicles that search for explosive devices. Yedioth Ahronoth newspaper revealed 16 June 2016 that Israel was planning to build a massive concrete wall which will extend below ground along the Gaza Strip border. The barrier was aimed at combating the threat posed by Hamas tunnels crossing into the country from Gaza. The wall, which would stretch along the 96km (60 mile) border around the Gaza Strip, would extend several dozen meters below the ground, and will also be present above the ground. It was estimated to cost US$568 million. The costly plan – aimed at tackling Hamas terror tunnels – was cleared for publication by Israel's military censor, according to Ynet, a website affiliated with Yedioth Ahronoth. Israel's plan came after two Hamas tunnels spanning from Gaza to Israel were discovered in April and May 2016. Hamas confirmed it was building tunnels, and residents in southern Israel communities bordering Gaza reported hearing digging sounds under their homes, i24 reported. Hamas had previously used tunnels to avoid or carry out attacks, store weapons, and enter Israel. It said the tunnels were needed to defend against Israeli fire. Foreign Policy reported in March 2016 that Israel was building an 'Underground Iron Dome,' a system that could detect and destroy cross-border tunnels. The government has spent more than $250 million on the project since 2004, according to Israel's Channel 2 TV station. 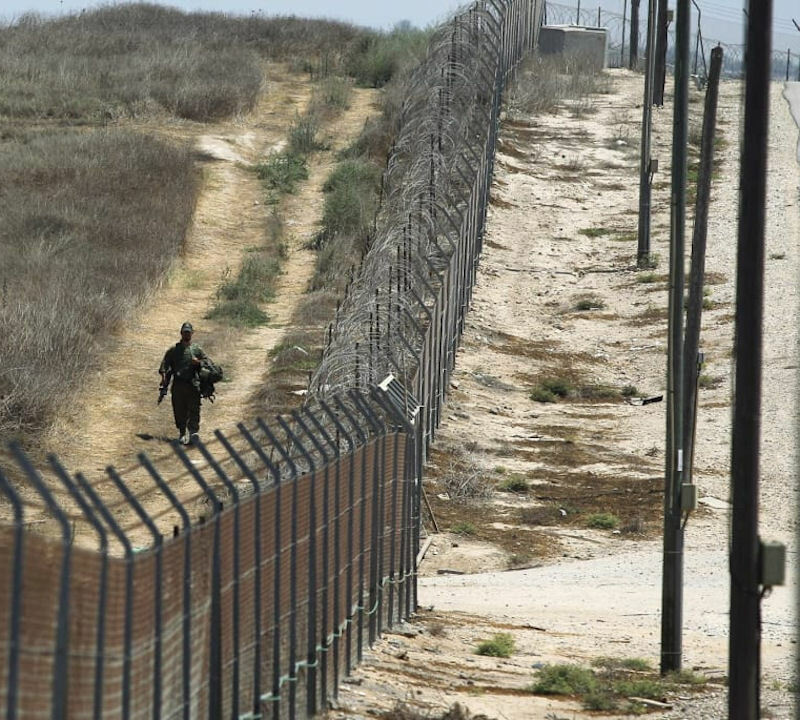 Israel has begun to construct a new "barrier" along the border with the Gaza Strip in order to prevent illegal crossings of Palestinian militants, Israeli Prime Minister Benjamin Netanyahu said on 03 February 2019 at a Cabinet meeting. "Over the weekend we began building the above-ground barrier along the Gaza border. The barrier will prevent terrorists from Gaza from penetrating into our territory on the ground. I would also like to make it clear: if the quiet is not maintained in Gaza, we will make the decisions even in the elections period and will not hesitate to act," Netanyahu said, as quoted in the statement of his press service. 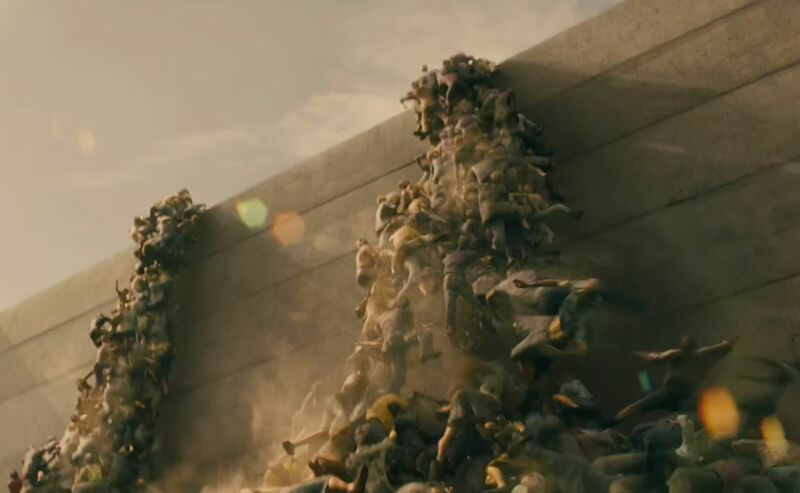 According to the Jerusalem Post, the wall will replace metal mesh fencing that has proved vulnerable to regular breakthroughs. 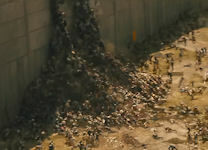 The new wall will be 65 kilometres long, made from galvanised steel and will be around six-meters-high. The Freedom Flotilla, a convoy of ships with humanitarian aid and activists aboard, left Sweden in June 2015, in a bid to break Israel’s naval blockade of the Gaza strip, according to organizers. It is the third large-scale attempt to bypass the Gaza blockade, introduced by Israel in 2006 after an Israeli soldier was captured by Hamas militants. The blockade was strengthened in 2007, when Hamas took control of Gaza. Israel's navy intercepted a vessel attempting to breach a naval blockade of Gaza early 29 June 2015 and was redirecting it to an Israeli port. Netanyahu praised the IDF and the Navy for perfectly executing their mission to stop the "hypocritical" Gaza flotilla. "There's no need for small ships like these to bring supplies, materials or humanitarian aid to Gaza," the prime minister said, pointing out that Israel allows 800 trucks into Gaza each day. Since Operation Protective Edge, Israel transferred 1.6 million tons of humanitarian aid into Gaza. "To transfer an amount like that, one would need half a million boats like the ones that headed for Gaza," Netanyahu added. "There's no need for that. If someone wants to send aid, he can use the land crossings, where we check the materials to prevent weapons from being transferred." By May 2018 Israel was erecting a sea barrier to prevent Gaza infiltrators. 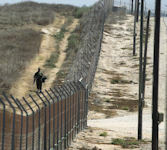 The barrier, a few kilometers north of Gaza, was expected to be a fortified breakwater topped with barbed wire. The "one-of-a-kind" blockade was expected to be finished by the end of 2018, more than four years after a group of Hamas militants managed to enter Israel by sea during the last Gaza war in 2014. "This is a unique obstacle that will effectively prevent the possibility of penetrating Israel by sea," Defense Minister Avigdor Lieberman said in a statement. "This is another blow to Hamas, which will lose yet another strategic ability in which it invested vast amounts of money," he said. The barrier is being built off the Zikim beach, a few kilometers north of Gaza. It is expected to be a fortified breakwater topped with barbed wire. The ministry did not provide any further details on the project. The sea fortification came as Israel continues to secure its borders with reinforcements including an underground barrier meant to prevent infiltrations through tunnels.